The Diamond range of heated towel radiators is part of Victorian Plumbing's core range of great value bathroom heating. Ideal for keeping bathrooms warm, comfortable and looking great - the Diamond heated towel rails are ever-popular and are always in style. In the pack, you'll find adjustable wall-fixings, vents and plugs. You'll want to pick up radiator valves separately - we prompt you of this when you add the item to your basket. 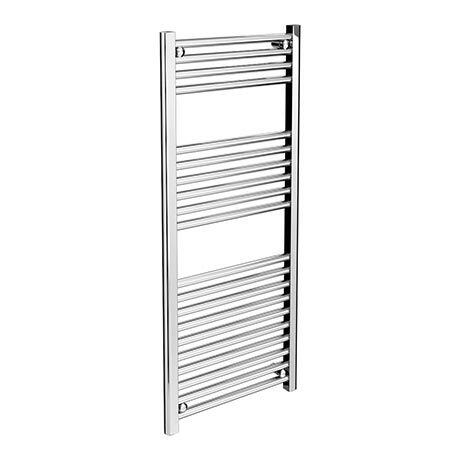 This 500mm wide heated towel rail features a modern chrome finish and powers 1466 BTU of heat power. The Diamond heated towel rail comes with a 5 year manufacturing guarantee and has been safety-tested to 10 bar, plus meets all ISO 9001 quality standards. This towel radiator is suitable for use on all standard heating systems, including combination and tank-fed. Not the right size or style? Check out our wide range of bathroom heating and towel rails - we stock over 500 lines. Looks good for the money. This item is a smart looking Unit and functions well as a heated Unit. Installation in my case was mostly straight forward although some issue with fitting the flow valves. 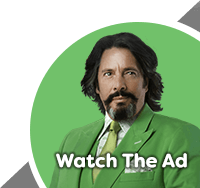 (Based upon me a DIYer and not a plumber). Overall though I am pleased with this item. "Smart and sleek, Fitted the bill." Excellent product would buy again. "Plenty of choice to choose from, Nice and neat to look at when fitted." "Good quality, and cheaper than I could find elsewhere." "Yet to be installed, but item delivered as promised." Nice towel rail lots cheaper than other places too. Looks great and feels like it's well made for such a great price. Only time will tell how it lasts but so far I'm very happy.